The Essential Guide To Touring Bicycles is an eBook I released last year around this time… and in the book I speak at great length about how to find your ideal touring bicycle. The book has become so popular over the last year that it is now the highest-selling resource on the BicycleTouringPro.com website. In fact, there is hardly a day that goes by when The Essential Guide To Touring Bicycles does not help someone find their ideal touring bike. 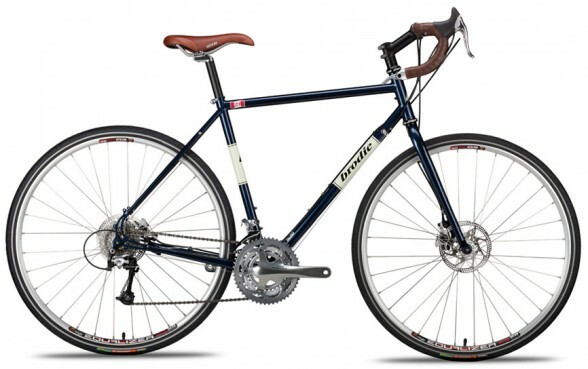 Buying a touring bicycle can be a daunting process – especially for beginners. It’s difficult to know what to look for, what aspects of a touring bicycle are the most important, and what touring bikes are best suited for the different types of bicycle tours. The book contains pages of how-to information designed to teach you about the basic features found in most touring bicycles, what frame materials are best for touring bike models, how to save hundreds of dollars off the purchase price of your new bike, and a whole lot more. And because the book contains a list of more than 200 different touring bike models made in numerous countries all over the world – with prices ranging from as little as $450 USD to as much as $6,000 USD and beyond! The Essential Guide To Touring Bicycles has truly become a small phenomenon here at Bicycle Touring Pro. But the downside to a book like this is that each year, touring bicycle companies come out with new products, change paint colors, add new components, up their prices, and generally just make a bunch of changes to the bikes they are currently selling. And for this reason, The Essential Guide To Touring Bicycles has to be updated at least once a year with all this new information. So, I’ve spent the last month or so going through the 200+ bicycles featured inside The Essential Guide To Touring Bicycles and I’ve updated all of the information on these various touring bike vehicles. With all of that work now out of the way, I’m happy to announce that the 2011-2012 edition of The Essential Guide To Touring Bicycles is finally here!!! But it’s not only been updated with the 2011-2012 touring bike models, it also contains a TOTALLY NEW resource that I’m sure you’re going to love!!! A 36-page eBook that teaches you about what makes touring bicycles different from other popular bike models; what to look for in your ideal touring bicycle; and how to select the perfect touring bicycle based off of the type of bicycle touring you plan to conduct. An additional 56-page ebook called “A Buyer’s Guide To Bicycle Touring Panniers & Trailers,” designed to take you by the hand and help you find the best bicycle panniers/trailer for your future bicycle tours. An hour-long video in which I speak at great length about touring bicycles, panniers and trailers. This video was recorded during a live Internet event that took place shortly after the initial launch of The Essential Guide To Touring Bicycles… and in the video I answer a number of different questions having to do with finding your perfect touring bicycle. Free lifetime updates! That means that when a new edition of The Essential Guide To Touring Bicycles comes out in the future, you’ll get it sent to you via email at no extra cost! You get it for free!!! And here’s the new part that I know you are going to love! The 2011-2012 edition of The Essential Guide To Touring Bicycles comes with access to the world’s largest online database of touring bicycles! This is a totally new feature that has been added to The Essential Guide To Touring Bicycles this year. Basically, this online database is a password-protected area of BicycleTouringPro.com where owners of The Essential Guide To Touring Bicycles can search through more than 200 different types of touring bicycles, look at photos, ask questions, get feedback, and generally research the perfect touring bike for their specific needs. This database of touring bicycles is online and can be accessed 24 hours a day, 7 days a week, 365 days out of the year. And unlike the previous version of The Essential Guide To Touring Bicycles, which was updated only once per year, this new online touring bike database is updated all the time – with new photos, new product descriptions, new bicycle reviews, and a whole lot more. What makes this new online touring bicycle database so incredible, however, is not only the fact that you can search by price and bicycle type through more than 200 different types of touring bicycles, but the fact that through this new online interface, you can ask questions, leave comments, and even upload photos for the bicycles you are interested in purchasing. If you see a bike you like and you have a question about it, you can now simply type in your question on the page where that bicycle is listed inside the database, and someone (either myself or someone with more experience with that particular bicycle model) will get back to you in a short amount of time with an answer to your question. Plus, you can read through the questions, comments, and bicycle reviews that other people have left about the bikes you are interested in, and make an informed buying decision based on this information. Buying a touring bicycles really is THE BIGGEST buying decision you have to make when you begin planning a bicycle tour of any length… and it’s true that if you pick the right bicycle for your trip, you’ll be sure to come home with those wonderful bicycle touring memories you’ve been dreaming about. But pick the wrong bicycle and your trip could be over before it’s even had a chance to begin. That’s what The Essential Guide To Touring Bicycles is really all about. It’s about helping you learn what to look for in a quality touring bicycle and then introducing you to the possible touring bike models that are available to you so you can make an informed buying decision. 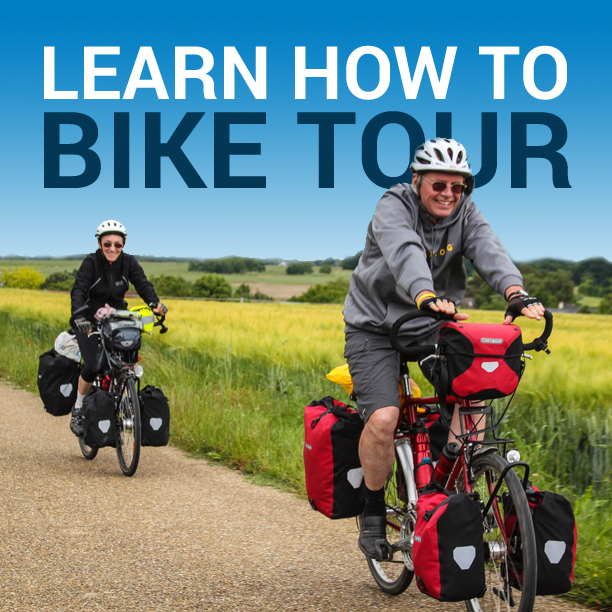 To learn more about The Essential Guide To Touring Bicycles and everything that is included with this new version of the product, just click here. This entry was posted in Bicycle Touring Pro Articles, Bicycles, Featured How-To Articles, Main Articles, Products and tagged best touring bike, best touring bikes, tour bike, touring bicycles, touring bike, touring bike reviews, touring bikes, touring bikes for sale, touring bikes reviews. Long time admirer of your site and the work you do promoting bike travel and bicycle life style. I’ve noticed a lack of one item that is near and dear to every bike tourer I know and it is lacking in ALL bike travel sites I frequent . . . Good Recipes’ !!! What do ya think? Care to tackle that?? Warm Wishes on your next adventure! I have thought a lot about adding recipes to the site. The only problem is, I am the worst cook in the world and certainly don’t feel comfortable telling other people what or how to cook. If you would like to submit a recommended recipe, however, I would be happy to post it on the site. Thank goodness for your research. I am a former road cyclist who, after many years off a bike for health reasons, is up to getting up on a bike again, yes!!! A touring style bike is now more my speed, however, finding a bike shop knowledgeable concerning touring bikes is proving very challenging as noted. I live in the Greater Toronto Area of Ontario, Canada. Are you aware of any source which lists bike shops which specialize in touring bikes? I greatly any advice you may offer. Ride safe. No, I’m sorry. I don’t know where all the bike shops are around the world that have knowledge about or specialize in touring bicycles.